@thewhl all going according to plan. No suspension for 27Pats, scores 2 goals. 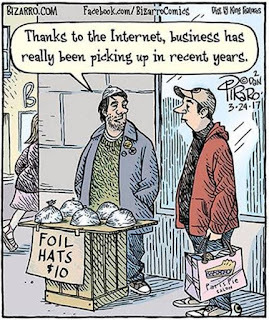 Your master plan is working so far. The WHL chose not to suspend F Austin Wagner of the Regina Pats after he took a kneeing major and game misconduct in Game 5 of their series with the Swift Current Broncos on Friday night. That means Wagner was in the lineup last night for Game 6 in Swift Current. . . . Oh, was he! . . . He had two goals and an assist, and was named the game’s first star, as the Pats posted a 5-3 victory and tied the second-round series, 3-3. . . . One night earlier, Wagner had been tossed at 8:52 of the third period after hitting Broncos F Ryley Lindgren. . . . Lindgren went down and left the ice, but returned a couple of minutes later. The Pats also had F Adam Brooks dressed for a second straight game. Brooks, who suffered a knee injury in Game 2, didn’t play even one shift in Game 5 on Friday and didn’t get on the ice in Game 6, either. . . . So why was he in uniform? Brooks, who is in his final season of junior eligibility, had a brilliant career with Regina — he put up 250 points over the past two seasons and won last season’s scoring title. 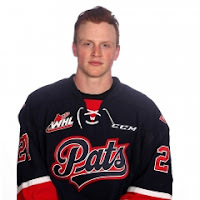 The Pats went into Friday trailing 3-2 in the series and John Paddock, the Pats’ general manager and head coach, felt that if they were to be eliminated, Brooks deserved to be in uniform for the end of his junior career. . . . Brooks isn't expected to play on Monday, either. The Swift Current Broncos were without F Lane Pederson as they met the visiting Regina Pats in Game 6 of their series last night. Pederson left Game 5 in the first period after taking a check from Regina F Dawson Leedahl. . . . F Logan Barlage went into the spot created by Pederson’s absence. The Broncos and Pats will play Game 7 in Regina on Monday night. Don’t forget that the Broncos have already played in a Game 7 on the road in these playoffs. They went into Moose Jaw and beat the Warriors, 3-2, on April 3. . . . In fact, the Broncos are 4-3 on the road in these playoffs. According to Regan Bartel, the radio voice of the Kelowna Rockets, F Reid Gardiner’s six-point outing on Friday night was a franchise playoff single-game record. . . . Gardiner had four goals and two assists in a 6-2 victory over the visiting Portland Winterhawks. . . . Bartel didn’t indicate who held the previous record. . . . BTW, Gardiner has two hat tricks in these playoffs, both of them in series-clinching victories. The WHL has lost two of its division winners, and the other two are hanging on. . . . The Regina Pats, who won the East Division and finished atop the overall standings, now are tied 3-3 with the Swift Current Broncos. They’ll play Game 7 in Regina on Monday. . . . The Medicine Hat Tigers, who were first in the Central Division, face elimination tonight when they meet the host Lethbridge Hurricanes, who lead the series, 3-2. A seventh game would be played Tuesday in The Hat. . . . The Prince George Cougars, who won the B.C. Division by a point over the Kelowna Rockets, were eliminated in the first round. . . . The Everett Silvertips, who finished first in the U.S. Division by two points over Seattle, were swept by the Thunderbirds on Friday night. The Western Conference final, featuring the Rockets and Thunderbirds, will open with games Friday and Saturday in Kent, Wash. . . . The Eastern Conference final also is expected to begin on Friday. Who and where has yet to be determined. The Anaheim Ducks got a couple of breaks in their 3-2 victory over the visiting Calgary Flames on Saturday and that’s enough to think they just may win the Stanley Cup. . . . The Flames had a goal disallowed on video review and the winning goal bounced off Calgary F Lance Bouma, who was 20 feet from the Flames’ net. Of course, you are aware that Anaheim now has won 29 straight home games — regular season and playoff — from Calgary. Is that the whackiest streak in sports today? . . . At one point last night, the Anaheim crowd was chanting: “You can’t win here.” . . . Hard to argue with that. F Stelio Mattheos scored in OT to give Team Canada a 4-3 victory over Slovakia at the IIHF U-18 World Championship in Poprad, Slovakia, on Saturday. Mattheos, who plays for the Brandon Wheat Kings, had two goals in the game, the second coming at 2:38 of OT. . . . F Kyle Olson of the Tri-City Americans also scored for Canada, which got 26 saves from G Ian Scott of the Prince Albert Raiders. . . . Finland (2-0-0-0) leads Group A with six points, while Canada (1-1-0-0) is a point behind. In IIHF events, teams get three points for a regulation victory, two for an OT victory, one for an OT loss and nothing for a regulation loss. . . . Team Canada next plays Monday when it meets Switzerland. On Tuesday, Canada will face Finland in its final round-robin game. Meanwhile, Hockey Canada has added F Cody Glass of the Portland Winterhawks to its roster. Glass, who will be an early first-round selection in the NHL’s 2017 draft, had 94 points, 32 of them goals, in 69 regular-season games with the Portland Winterhawks this season. Former Spokane Chiefs F Liam Stewart is on the roster of Great Britain’s team that will play in the IIHF World Championship (Division 1, Group B) in Belfast, Northern Ireland, from April 23-29. . . . This will be Stewart’s first appearance at a world tournament. He was selected to Great Britain’s team two years but couldn’t play due to injury. . . . Stewart, now 24, played four seasons (2011-15) with Spokane. This season, the son of rocker Rod Stewart and actress/model Rachel Hunter played in Great Britain for the Coventry Blaze. He had 20 points, including nine goals, in 49 games. . . . 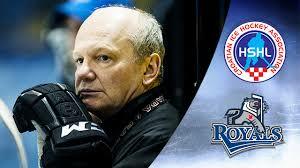 The Croatian team that will play in Belfast is coached by Enio Sacilotto, the director of prospect development for the WHL’s Victoria Royals. . . . The tournament also features teams from the Netherlands, Japan, Estonia and Lithuania. Croatia and Great Britain open the tournament by facing each other on April 23. MORE ON THE MOVE: According to Jesse Geleynse of the Everett Herald, G Carter Hart of the Everett Silvertips will be joining the Lehigh Valley Phantoms, the AHL affiliate of the Philadelphia Flyers. He was a second-round selection by the Flyers in the 2016 NHL draft. Hart signed a three-year entry-level contract with the Flyers in October. 45 years ago tomorrow - the last time the @WHLPats played a Game 7 at home. The 1971-72 Pats defeated Flin Flon 3 games to 2 with 2 ties. as the Pats beat the Broncos, 5-3. . . . The Pats, who scored the game’s last four goals as they erased a 3-1 deficit, have won two in a row to tie the series, 3-3. . . . They’ll decide it Monday in Regina. . . . One night earlier, the Pats stayed alive with a 3-2 home-ice victory in Game 5. . . . Last night, Wagner finished with two goals and an assist, while Sloboshan and Ahl each had a goal and two helpers. Each finished plus-4. . . . Sloboshan is the centre on that line, filling the spot that normally belongs to the injured Adam Brooks. . . . Wagner gave the Pats a 1-0 lead at 7:24 of the first period. . . . D Artyom Minulin (2) pulled the Broncos into a 1-1 tie at 11:41. . . . Swift Current appeared to take control with two early second-period goals, F Arthur Miller getting his first playoff goal at 0:29 and F Glenn Gawdin (6) scoring at 2:27. . . . Regina got back into it with two goals in the last 1:30 of the second period. . . . D Josh Mahura (2), who was plus-5, got the Pats to within a goal at 18:36. . . . Sloboshan (2) tied it at 19:35. . . . Wagner’s eighth playoff goal, coming at 1:15 of the third period, proved to be the winner. . . . Ahl’s first playoff goal provided insurance at 5:48. . . . Regina D Sergey Zborovskiy had an assist and was plus-5. . . . Gawdin added two assists to his goal, while Miller also had an assist. . . . Regina G Tyler Brown stopped 34 shots, 11 more than the Broncos’ Jordan Papirny. . . . Regina was 0-2 on the PP; Swift Current was 0-3. . . . Announced attendance: 2,890. Tickets went on sale Saturday morning and the game was sold out in eight minutes. . . . Darren Steinke, the Travellin’ Blogger, was there and his blog post is right here. . . . Greg Harder of the Regina Leader-Post was there, too, and his story is right here.